Bathrooms come in all shapes and sizes. Planning and designing for those shapes and sizes will of course vary. Sensible planning, elegant design, and intelligent choices will really help you make the most of the space, whether that’s limited or not. From tiles to lighting, storage, and where you place your furniture – it all makes a difference, and often a big one. If you’re working with a small bathroom and wondered what you could and should have in the way of design then read on – this post is for you. Here are some tried and highly tested ways to make the most of your small bathroom design. This will sound strange if you’ve not come across this before but being able to see as much of the floor as possible will give you a real sense of space. It won’t necessarily create more of it, but you’ll feel like you have more room. 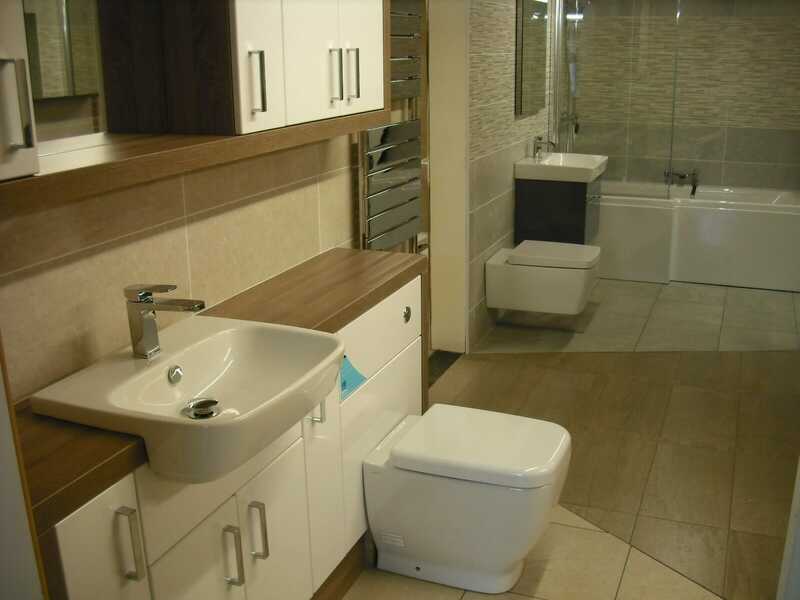 Wall hanging units, cupboards, and even WC can give the illusion of space (although to hang the WC you will in fact take a little more space with the boxing out and hidden cistern in many examples). Get as much of the floor on show as possible, it’s create some nice long sweeping views and create more ‘visual’ space for your bathroom. It might be tempting to cram it all in. With a small bathroom you could be convinced that putting all the units close together will give you more space in the rest of the room, but you’d be mistaken. Placing all the items close together actually makes it look what it is – cramped! Instead, leave some space between items and spread your furniture, suite and units around as much as you can. Obviously they need to flow nicely, but the point is, don’t push them up together – leave some space. Unsightly pipes and plumping can be an eyesore. Unless you go all out and expose all the copper pipes in an industrial style you’ll most likely want to box those in and decorate the boxing to make a clean line and hide the integrated parts of your bathroom. But that boxing in could help you do more than hide unsightly pipes. Build a storage space, mount a unit over it, store your essentials on top of it. If your boxing in becomes a shelf or the base of a unit then you’ve just created space from nowhere! Let’s get into some tile psychology! The size and orientation of your tiles makes a difference. Using large and horizontally laid tiles in your small bathroom will draw your eye around the room and create more space… or at least the feeling of it. Don’t go too dark either. A small room needs as much light as you can get and a good tile will reflect what natural light you have. Light tiles do tend to show up more dirt though, so if you have a large or messy family you may want to choose something mid-way between dark and light. Another thing to consider with your bathroom tiles is that being subtle with the design will help too. Overcrowding your bathroom with busy and noisy design will only make the room feel crushed. Don’t go crazy, go subtle. Borders of different styles were popular a few years ago but can be confusing to the eye and are less popular at the moment. Again, we’d recommend a tile that helps you reflect the light too, so not too dark if you can help it. Rectified tiles are manufactured so that the edges of the tile are exactly the same size and can therefore be laid with a minimum grout joint of 2 mm. This means you’ll have much smaller grout lines. Why is this important? Well it all comes down to sleek design, which we’ll cover later on in this blog. The cleaner the lines, the more space you’ll create visually. Big and bold will take over your bathroom and thick bold white grout lines will do this too. Feature lighting is often chosen for the statement it makes but you can really help your small bathroom here, too! Simply put: the more light you have in a small bathroom the better, so getting a feature backlit mirror or unit will further add to your options. Good lighting is essential in a small bathroom and feature lighting will draw the eye to more exciting parts and give some much needed theatre without taking any extra space. Don’t forget you can try coloured lighting if this takes your fancy, too. There are many things you won’t be able to leave out and the shower enclosure or the bathroom screen are included in those. But, you can still make a wise choice here to help your design. 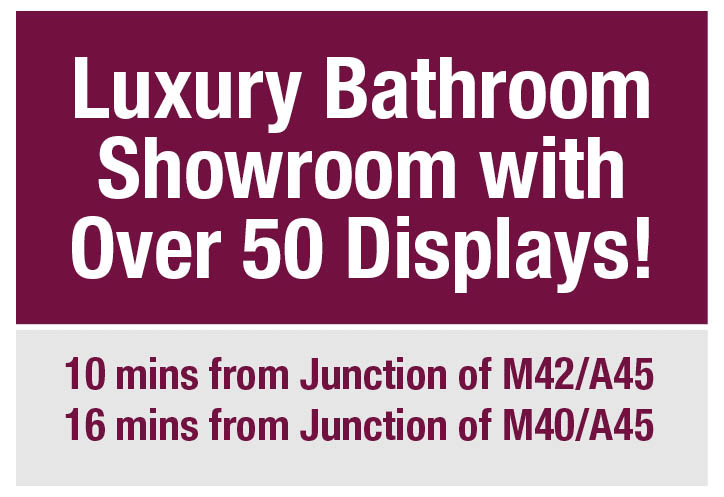 Minimising the size and design of your bath screen or shower enclosure will really help. Try to go for a minimalist design with sleek frames so that you get to see as much glass as possible. Also, on the bath screen, go for as small as you can handle, or get a folding screen so as not to take over the small bathroom with huge glass barriers. And if you’re upgrading from a horrible old plastic shower curtain your bathroom will already feel so much larger when you get rid of that. And just as above, try to get clean lines in all your design. Big and chunky doesn’t work in a small bathroom so aim to be more aerodynamic, more ‘Apple store’, and stick to design that’s sleek and clean rather than big and functional. 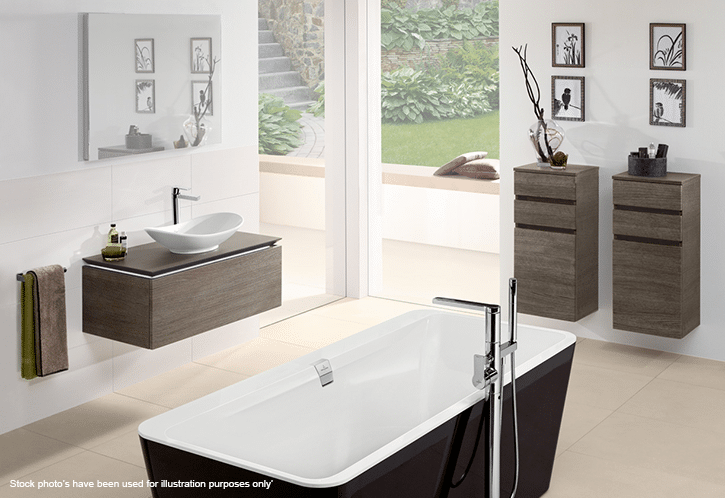 You’re spoilt for choice in every area of bathrooms now so make the right one and go for clean lines. 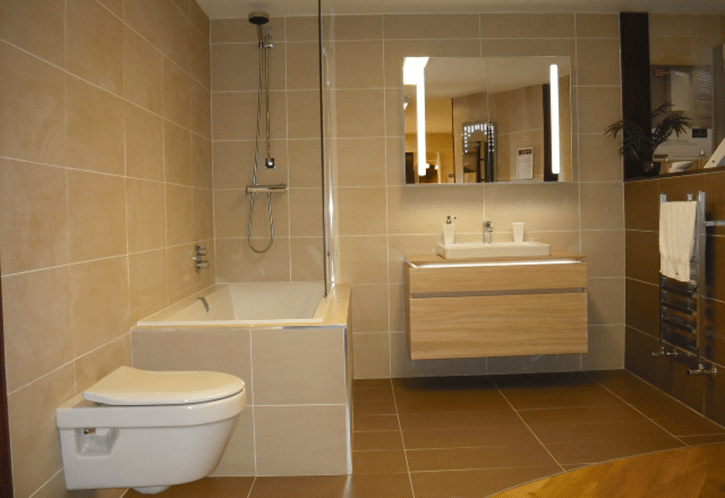 Small bathrooms – big ideas! 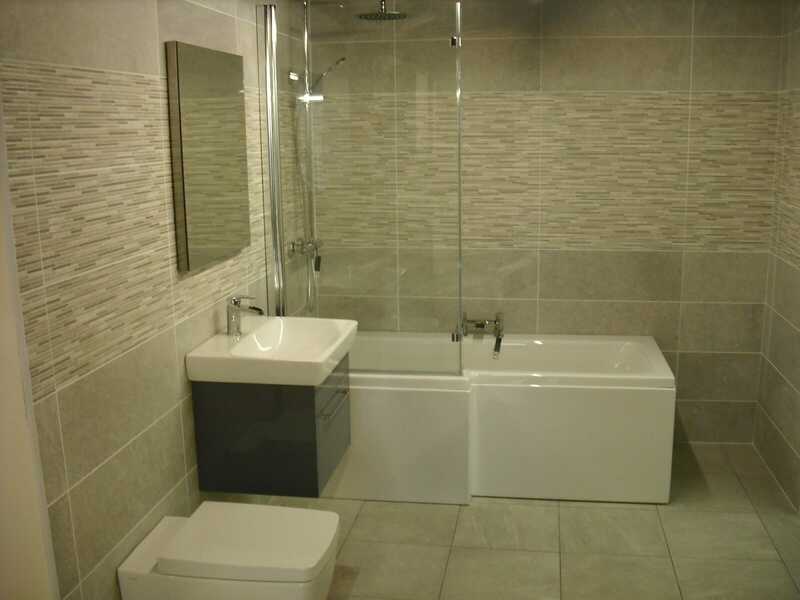 With a small bathroom you really do need to be careful not to overcrowd or overdesign it. Think simple, think multipurpose, think long lines and make them clean ones too. Keeping it simple and sleek is key when you’re short on space. Your storage and tiles really matter here and you’ll find some more blogs on tiles in bathrooms and storage in bathrooms here. 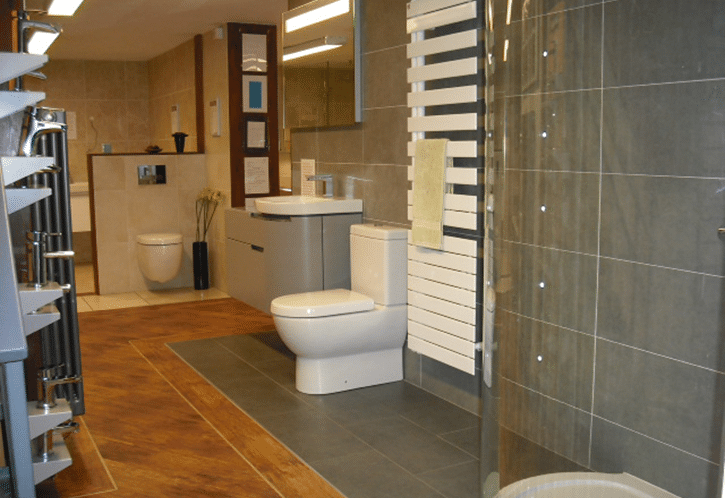 Of course if you want advice from the experts we can design and install your bathroom for you. 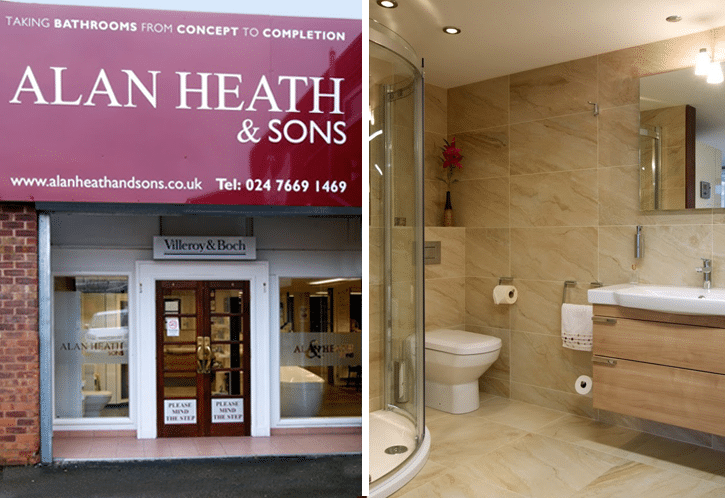 Give us a call or visit us in our Coventry bathroom showroom.